Get in quick to get these HUGE savings on Samsung full HD series before stock runs out! 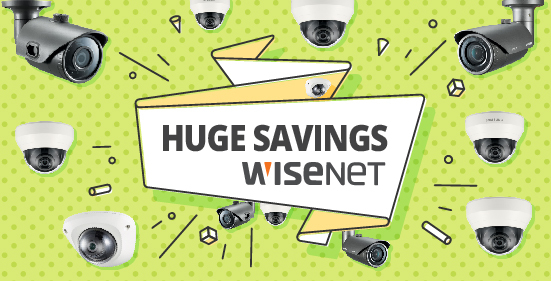 Wisenet Lite is an affordable and compact product line with simple and essential features ideal for securing small to large sized applications. View our website to keep up to date with all the latest deals and product updates. Wisenet HD+ incorporates AHD technology that can deliver superb quality HD images over existing coax cabling, the competitively priced seven camera models and three DVRs in the WiseNet HD+ range offer an affordable upgrade path for legacy analogue systems, as well as new installations.